At the heart of every General Digital LCD monitor product is an embedded LCD video controller. The function of the video controller is to receive and convert various forms of analog video signals into the appropriate digital video signals necessary to drive an LCD display. It is this ability that enables our LCD monitors to function as a seamless and direct replacement for CRT video monitors. As technology advances, the variety of video inputs increases. General Digital understands and specializes in both leading and trailing edge video input signal technologies. From low resolution obsolete analog Sync-On-Green monochrome signals to the latest DisplayPort (DP) audio and video input, support is available to display your signal source. 1 In this context, Analog Video is defined as Separate, Composite or Sync-On-Green video sources. 2 In this context, Live Video is defined as Interlaced Video, NTSC, PAL, SECAM, Composite or S-Video, RS-170, CCTV and CCIR. 3 In this context, Digital Video is defined as DVI-D, HD-SDI, SD-SDI, HD Component, HDMI and DisplayPort. Video signals (also called “video inputs”) come in many varieties and they’re not always so easy to distinguish. There are analog and digital video signals, each with different characteristics, advantages, and limitations. We provide this guide to help you decipher the different types of video signals and their applications, and thus determine which will best suit your requirements. Although we cover many types of video signals and some of their applications, this list is not exhaustive. We invite you to contact a Sales Engineer for more information and to determine the best solution for your application. 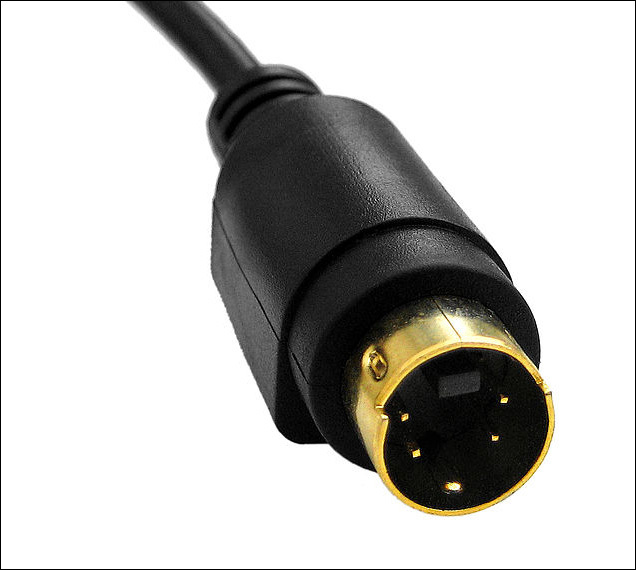 Composite input is the commonly seen yellow RCA** cable. In composite video, the luminance, chrominance, and sync information are combined into a single signal. Composite signals have to be decoded before they can be displayed. This can lead to video errors because the luminance and chrominance signals overlap and are often difficult to separate, resulting in “dot crawl” and “rainbow” effects. These carry low definition video signals only. Composite video is displayed in varying standard formats, such as NTSC (National Television System Committee, prevalent in North America), PAL (Phase Alternating Line, predominant in Europe), and SECAM (Sequential Color with Memory, principally in portions of Africa, the Middle East and other select regions) depending on the region in which you live. Benefits: As one of the first video signals, it was the best you could get from its introduction in 1956. Limitations: Low resolution, not globally adaptable, demodulation losses. Typical uses: Older televisions, DVD players, VHS players, older video game consoles, Single Board Computers. Cable Length: Signal degradation increases with cable length, but should be acceptable up to at least 300 feet. *For component and composite connections; white and red RCA cables accompany these types of cables. The white and red cables are used for audio signals. Typically, the red RCA cable delivers the audio signal for the right channel, and the white RCA cable delivers the audio signal for the left channel. 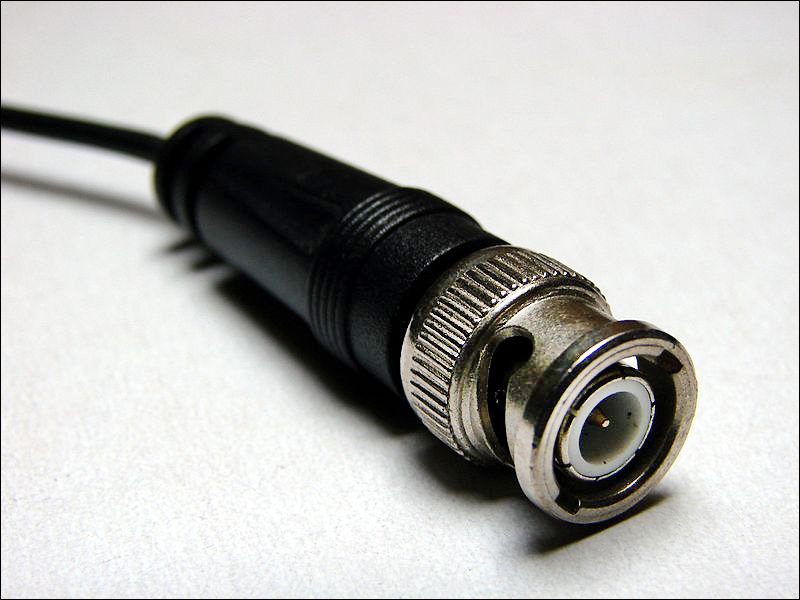 **RCA (“Phono” or “Composite” Connector): RCA is the type of cable used for component/composite connections. RCA derives from “Radio Corporation of America”, who introduced the cables originally in home radios/phonographs. S-Video signals carry standard definition video. Picture clarity is improved over composite because S-Video transmits the luminance signal and the chrominance signal over separate channels. S-Video is still carried through the same NTSC, PAL, and SECAM signal formats, but displays a higher video quality. Benefits: Separate video signals for higher picture clarity. Limitations: Low resolution, not globally adaptable. Typical uses: DVD players, VHS players. Cable Length: An acceptable maximum distance to run S-video cable would be 150 feet to prevent signal degradation. A color VGA signal comprises 5 signals: two synchronization signals (HSYNC and VSYNC) and three video signals (R[ed], G[reen], and B[lue]). Screen resolution is determined by the two synchronization signals. Color, on the other hand, is determined by the combination of the R, G, and B signals. This port allows the television to be connected to a computer for use as a monitor. However, because its signals are analog in nature, VGA video signals experience weaknesses in fidelity. There are a multitude of ways to send the sync signals through the cables, as well. Separate sync is when the horizontal and vertical syncs are each carried on different wires. Composite sync mixes the vertical and horizontal syncs together on one wire. Sync-On-Green (SOG) uses a composite sync overlaid on the green signal. Benefits: Introduced universal analog interface. Limitations: Analog signal, no audio. Typical uses: Older computer monitors. Cable Length: Dependent on resolution. As resolution increases, length decreases. XGA resolution should display well up to 30 feet, while UXGA will reach only acceptable levels at around 3 to 5 feet. 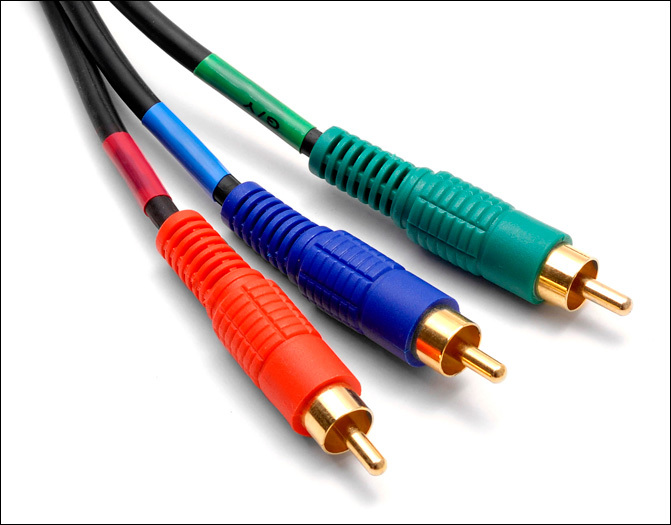 Component connections are easily recognized as the Green (Y), Blue (PB), and Red (PR) RCA** cables. The luminance (brightness) is sent through the green cable, while blue and red chrominance (color) video signals are transmitted separately to maintain clarity, resulting in a higher resolution and better color quality (green chrominance is found using the difference between brightness and the other color signals). Component cables carry low/high definition video signals and are designed for high-end television production. Benefits: Provide non-interlaced video, no signal separation/encoding. Typical uses: DVD players, VHS players, video game consoles, consumer electronics. Cable Length: 100 feet should provide minimal signal losses, but a low-loss cable can run up to 500 feet. 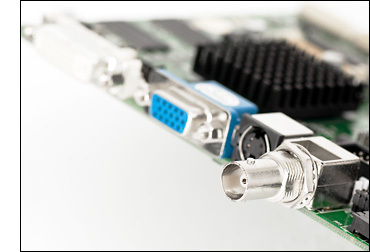 Developed to create an industry standard for the transfer of digital video content, DVI can be configured to support multiple modes such as DVI-D (digital only), DVI-A (analog only), or DVI-I (digital and analog). 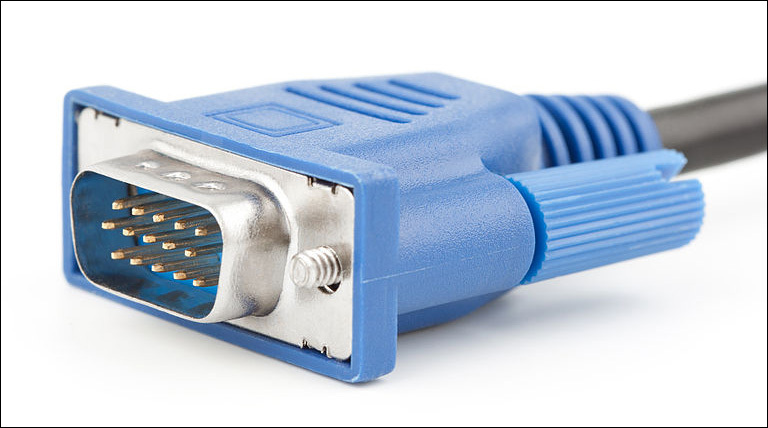 DVI also offers single and dual link connections. Single link connections send data over a single twisted pair, while dual link connectors double the number of twisted pairs, which doubles the bandwidth. 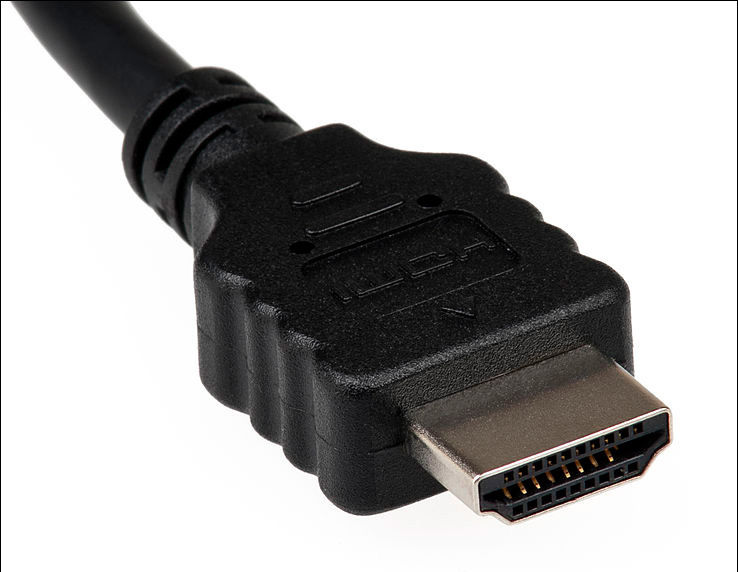 Much of DVI’s widespread use in the PC industry is attributed to its interoperability with VGA, giving it an advantage over other digital standards. Benefits: Compatible with VGA/HDMI, digital format. Limitations: No audio, large bend radius. Typical uses: Newer video cards, computer monitors. Cable Length: No degradation up to about 30 feet. SDI is the standard for broadcast video. There are many standards for the timing of video formats, known as the SMPTE (Society of Motion Picture and Television Engineers). As the bitrates and video formats increase, the standards clarify the different types to be named SD-SDI, ED-SDI, HD-SDI, Dual Link HD-SDI, and 3G-SDI. Benefits: No compression, long cable runs. Limitations: Licensing prohibiting commercial use, expensive. Typical uses: Professional video equipment. Cable Length: High-definition video signals should be able to run 300 feet without loss, while SD video signals may tolerate up to 1200 feet. HDMI cables carry both video and audio signals. Because of this, they reduce the amount of cables needed for transmission. As an equivalent to DVI signals, HDMI is the current industry standard for high quality video signals and is preferred by the digital market for high-definition media delivery. There are multiple versions of HDMI standards, including 1.0 through 1.4, with 2.0 scheduled to be released in the future. HDMI 1.0 was released as the basic video/audio signal. HDMI 1.1 included DVD-Audio. HDMI 1.2 allowed for One Bit Audio. HDMI 1.3 increased bandwidth to 10.2 Gbit/s. HDMI 1.4 increased the resolution to its current maximum, allowed for an Ethernet connection, and supports 3D formats. Benefits: Home theater video standard, audio/video on same cable, high resolution. Typical uses: HD televisions, Blu-Ray players, video cameras, video game consoles, PCs, tablets (micro-HDMI), mobile phones (micro-HDMI). Cable Length: HDMI cables are typically compliant up to 50 feet, but can go farther based on quality. 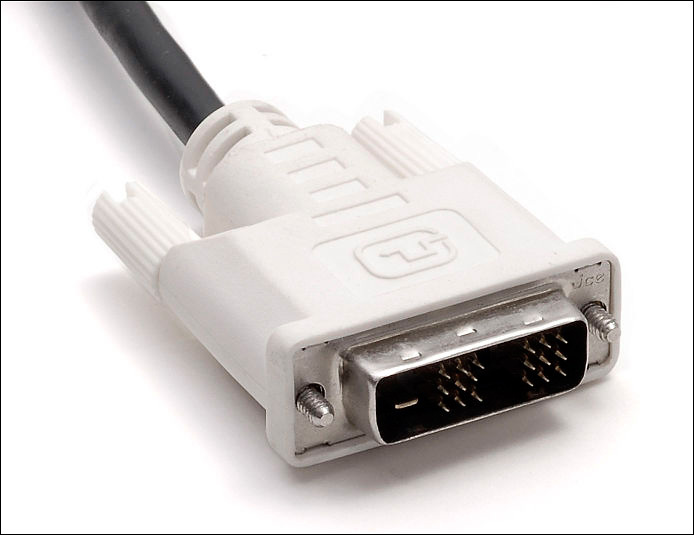 Used primarily to connect a video source to a display device (e.g., a computer monitor), DisplayPort was designed to replace VGA and DVI. It can also be used to transmit audio, USB, and other forms of data. Backward compatibility to VGA and DVI display devices is achieved through the use of adapt0r dongles, thereby eliminating the need to replace existing equipment. Like HDMI, DisplayPort can be used to transmit both audio and video simultaneously, though each can be transmitted without the other. 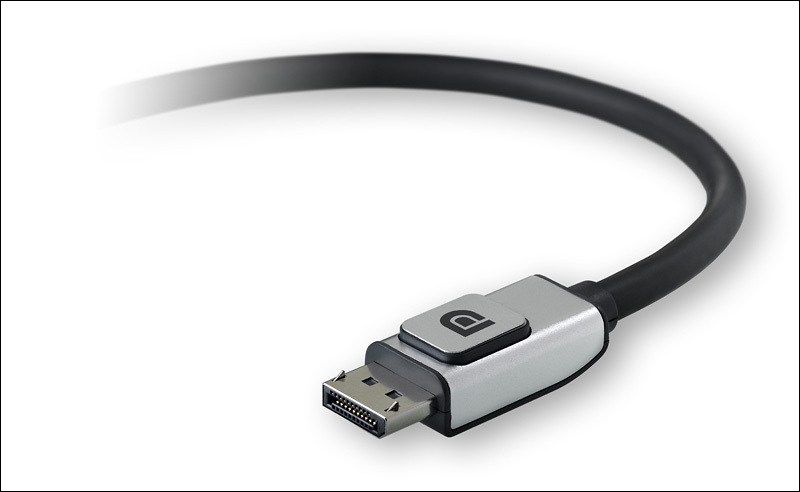 Though similar to HDMI, DisplayPort is targeted toward computer interface rather than home theater interface. Benefits: Computer Video standard, audio/video on same cable, high resolution. 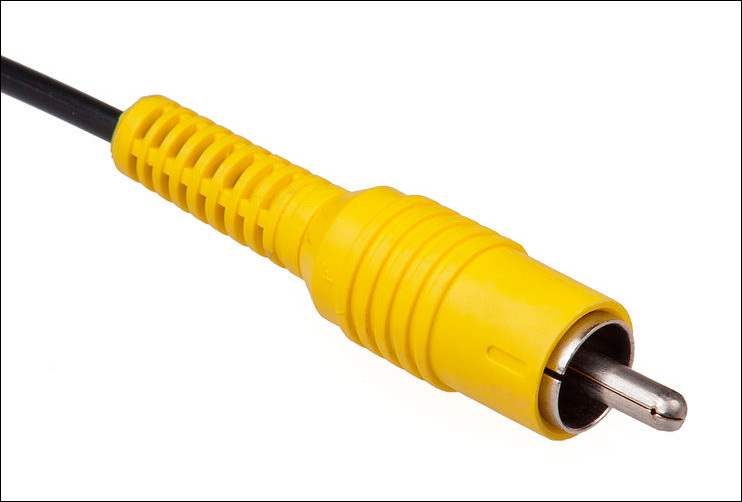 Cable Length: Designed to pass quality signals up to 50 feet. STANAG 3350: STANAG is a NATO standard, which is used in low tolerance video-capable sensors. This standard sets the vertical and carrier frequencies, but leaves the horizontal resolution to be defined by the display. There are three different versions of the code (A, B, C), which are based on different civil standards. RS-343: RS-343 is a standard signal used for high resolution monochrome video. RS-170: RS-170 is the standard used for color television. RS-170 is also known as the NTSC color television standard. SMPTE Timecode: The SMPTE timecode is a set of standards to use with video and audio as a way to allow the video and audio to sync correctly with each other. This is used to synchronize, edit, or identify audio with video. How Do I Choose a Video Controller? Before we delve into how to choose a video controller that best suits your LCD monitor and application, let’s start with the fundamental question: What is a video controller? To answer that, you need to know more about the computer’s video card. The video card inside of a computer serves to generate images that are output through a video connector and video cable, and appear on the screen (display). Though we will not be exploring the intricacies of how the video card accomplishes this task, it is important to recognize that a computer would be useless without the video card translating data into visual information. The terms video card, graphics card and graphics board are common industry accepted labels for the circuit board that controls video on your computer. We prefer the term video card. Some of the most common video card brands in use are ATI, NVIDIA, and EVGA, though there are plenty more available. Internal to any LCD monitor is an LCD video controller that converts analog or digital video signals sent from the computer’s video card into the proper digital signals required to drive, or operate, the display (typically, LVDS or TTL digital signals). The video controller also goes by a variety of other names such as LCD panel interface board or LCD interface controller, as well as many other terms. We prefer video controller. It is the video controller that enables the LCD monitor to function as a direct replacement for the traditional CRT monitor (which also has a video controller). It provides intuitive operation of its controls and calibration through the use of push buttons and a series of on-screen menus. So, what are the questions you need to ask yourself in choosing from the plethora of available video controllers? 1. What is the size of the display or monitor that will be used with the video controller? The diagonal measurement of the LCD viewing area is the first important factor to note. 2. What is the resolution of the display that will be used with the video controller? This is also called the native resolution, which is the number of horizontal and vertical pixels on the display (e.g., 1920 x 1080). 3. Which specific video inputs will be needed (analog, digital, composite, etc.)? Will you only need analog RGB, or Sync-On-Green VGA and DVI-D, or HDMI, NTSC and RS-170? 4. Are there any additional features needed (picture-in-picture, picture-by-picture, gamma correction, resolution scaling, image inversion, zoom, serial remote control, etc.)? 5. Are there any additional thermal or other environmental requirements? Though made of similar components serving similar purposes, video controllers are not created equally. They can be made to withstand high temperatures and humidity, severe vibrations and shock, and even strong magnetic fields such as those found in MRI (Magnetic Resonance Imaging) rooms. Once you have determined the answers to these questions, you will have gathered the facts necessary to make an informed decision. If you need additional assistance not provided here, please feel welcome to contact us.